Eurodollar is still moving inside a narrow consolidation range near triangle pattern. The main scenario remains the same – the price may continue falling inside the downtrend. An alternative scenario implies that the market may grow towards the pattern’s upper border and then continue falling towards level of 1.1000. 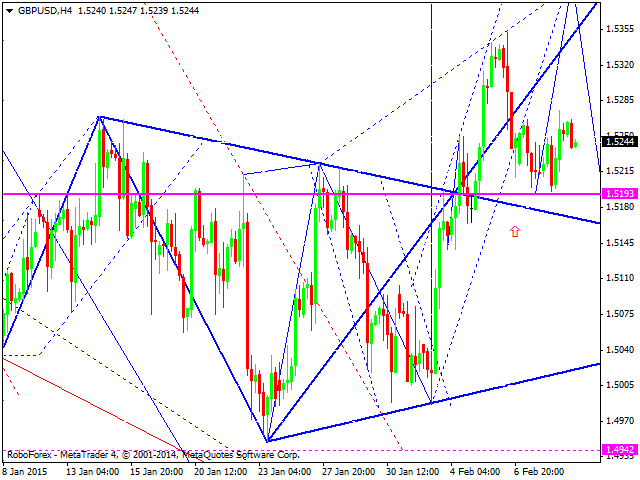 Pound is still forming an ascending structure, which may be considered as the third wave. The local target at level of 1.5400. 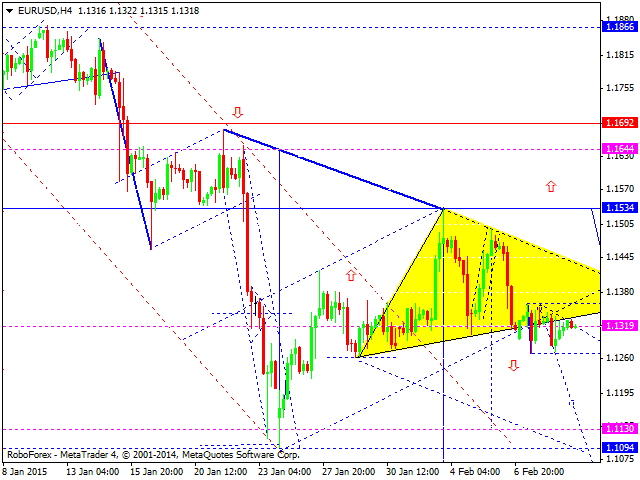 After that, the price may form the fourth wave to reach level of 1.5200 and then form the fifth one to reach level of 1.5430. Franc is still moving inside a narrow consolidation range without any particular direction. The main scenario remains the same: the pair is expected to continue falling inside the downtrend. 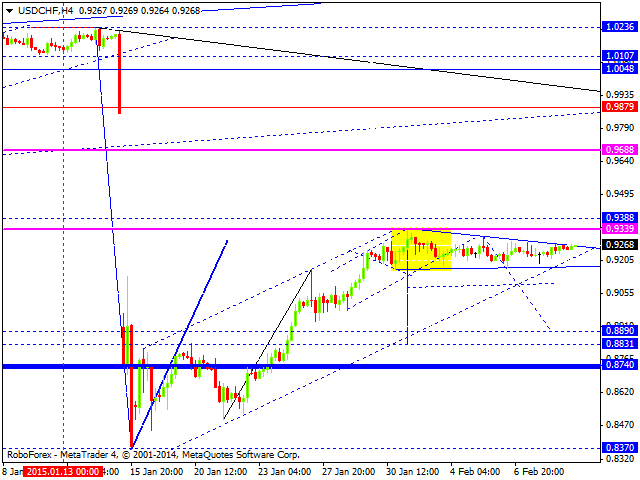 The main target is at level of 0.8200; the first one is at level of 0.8830. Yen has extended its ascending structure. We think, today the price may complete this wave, break the ascending channel, and return to level of 117.60. Australian Dollar is moving downwards. 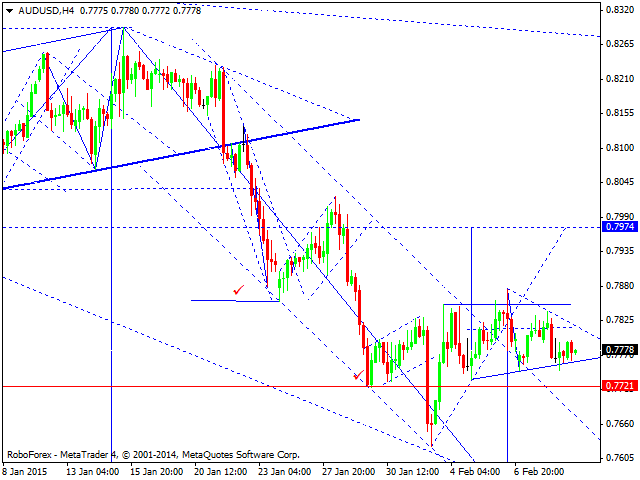 The market is expected to continue falling to reach the next target at level of 0.7570. Ruble is still moving inside a narrow consolidation range. 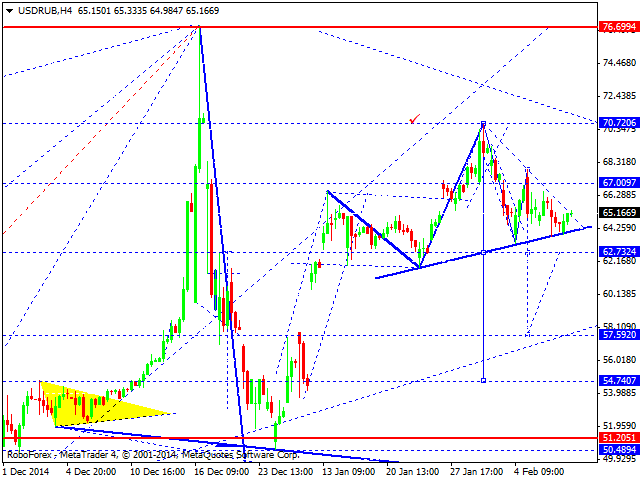 We think, today the price may break the lower border and fall towards level of 63.00. After that, the market is expected to form another consolidation channel, which may be considered as a continuation pattern. The local target at level of 57.00. 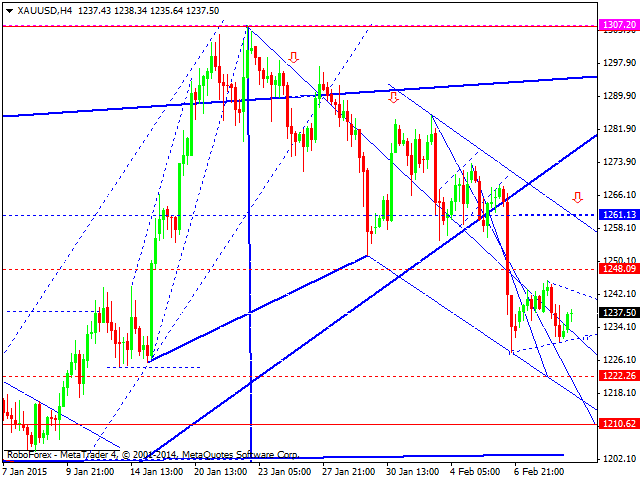 Gold is still forming a consolidation channel. 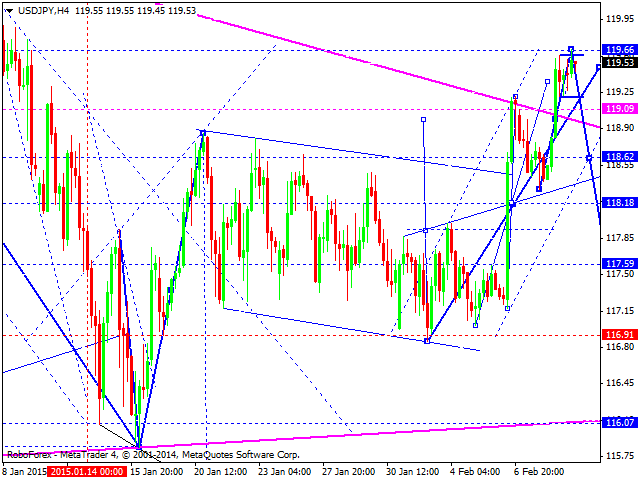 The market is expected to continue extending the third wave downwards. The target of the third wave is at level of 1210.